Just weight mine 9.0kgs so 3/4 full . Just had the dealer up date me on the water issue they have fitted a replacement non return valve which has fixed the external water feed. the internal water tank they have found the level sensor is not working so they have order one which will not be in time to fit before we collect Saturday. Update on our new Laser Coachman. I have now taken the caravan back to the dealer to sort out the water system due to the issues i have had with water flowing back into the water hog. I have covered all reasons why the water was returning back and tried to sort myself but to no avail. Also when i tried to fill the internal tank that also was leaking from underneath the caravan. the rod that plugs the tank does not seem to seal the drain hole the dealer is also look into this issue. we are very pleased with the rest of the caravan pity about the water issue. Collecting caravan Saturday so hopefully no more problems. Yes all devices were conected and checked, the water taps were all ok but i never checked to see if the pump was working correctly. Thanks for the advice on the pump will check out next weekend. Enjoy your first trip with your new Coachman, just check your outside pump is calibrated ours seems not to be. We are away next weekend will let you know if this fixes the issue. Thank you for the info i will be following the instructions when we are a way for couple of days in a few weeks time. Cross fingers i hope this will fix the problem. When we collected our new Laser 675 last Saturday i was pleased to see the spare wheel carrier was fitted under the caravan, they said they just had room to fit it in between the caravan mover and the water tank. Very happy with the workmanship it is a top spec finish. There is one problem we found while we stayed over on a site to set up the caravan the external pump is coming on for around 3-5 secs every couple of minutes even after checking all taps are flowing with water and no air locks. When i returned home i looked up issues with this new type pressure switch and found out I need to calibrate the whale IC pump controller which is a new product Coachman use. 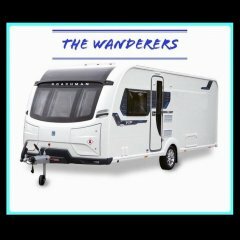 Anyone thinking of buy a New Coachman Laser 2019 there is a problem if you require to have fitted a 4 wheel drive motor mover, the dealer fitter rang me to day to report he will have to take off the spare wheel carrier which he explained they generally move it further back but on the Laser models there is a under slung water container so i will have to store the spare wheel under the bed or put in the back of the car. Collecting new caravan Saturday thanks for the advice will be checking everything with a fine tooth comb. We have ordered 675 Coachman Laser 2019 and we have been told collection will be end of January. We have a Swift 580 2018 dealer special and had all sorts of problems was very disappointed before that for three years we had a Lunar 544 special edition and we were very please with it for the entry level van.